Winter, brrr, even the word sounds cold. And, I confess, I am someone who needs to be warm at all times. The only reason I survive this season is because it’s when home really comes into its own. Nothing quite beats the glorious feeling of warmth that envelops you as you step over your threshold, the pleasure of curling up on the sofa (assuming you get a spare moment) snuggled up in a blanket with a mug of hot chocolate, or the simple gratitude I feel to be safely indoors when rain or gales storm outside (assuming my roof is no longer leaking). But, terrifying fact, the average home is thought to be more polluted than a busy street corner, with The Royal College of Physicians estimating 99,000 deaths in Europe each year due to indoor air pollution. The cause? A surfeit of chemical household cleaning products, dry-cleaning evaporations and, conversely, air fresheners. Add in all the stuff thought to be emitted from our electronic gadgets and gizmos and it’s a wonder any of us are alive at all! The thing is, it’s all less of a deal when you’re routinely flinging open windows, but in the winter this potent cocktail of nastiness can really contribute to stuffy, unhealthy atmospheres, exacerbating lethargy and allergies. So, even when it’s cold, it’s crucial to air your home to keep everyone perky. 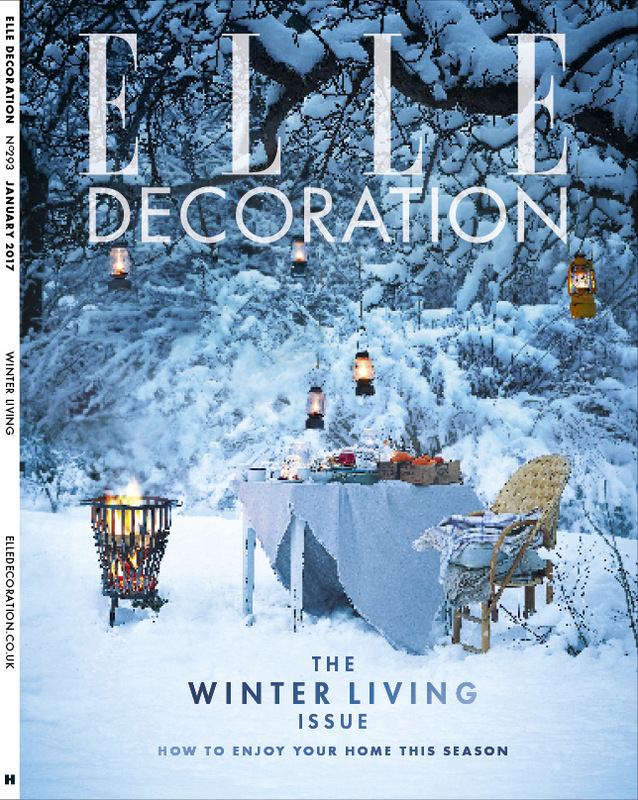 Especially, as this issue explores, because winter is generally a time for entertaining. Not elaborate festivals of intricacy and complication, but (hopefully) gentle familial gatherings and casual suppers with friends. It’s ‘come on over’ time, rather than ‘let’s go out’ time. So, this month we pop in on those who’ve dedicated their homes to fun and play, from a glorious apartment in Copenhagen with glossy ‘almost black’ walls and ceilings and a centrepiece green velvet sofa from Meridiani that just compels lazy lounging, to probably my favourite home in this issue, a house in Italy, which has the effortless hosting of dinner parties as its raison d’etre. Interspersed between these exemplary statements of laid-back winter living, we proffer tabletop inspiration for every occasion — from relaxing neutral settings to seasonal, bright centrepieces — ideas on how to party in a barn, how to evoke a Narnia-esque winter’s tale outside, and the most gorgeous lounge sets we could dream of, dressed in jewel brights and more velvets (spot the enduring theme. Trust me, velvet is here to stay). All in all, it’s everything we think you might need to enjoy your home this season. Just remember to chuck in a few houseplants – apparently even a humble pot plant can clean air within a radius of about 30 feet. Result.